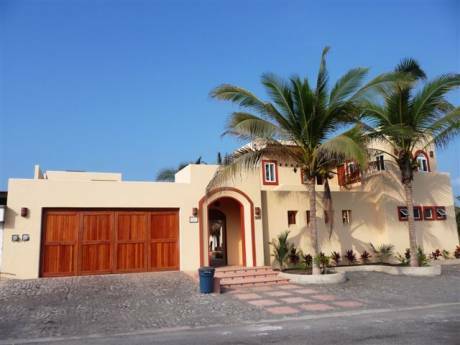 Vacation Villa overlooking the Marina Ixtapa, inside the residential complex of Porto Ixtapa located on the far side of the Marina Ixtapa. 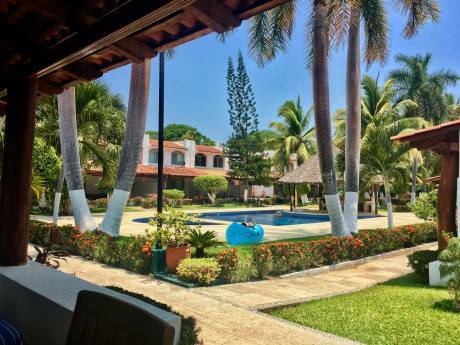 Porto Ixtapa: Residential complex of single homes, villas and condos, located at the highest point of Marina Ixtapa, with privileged views of the bay and Marina, wide terraces, pools and absolute privacy. The Master development plan was designed by EDSA, an international leading development firm. The complex has a Yacht Club of casual ambience overlooking the Marina, with all the facilities for water sports and other various activities. At only a short distance from the hotel zone, Marina and Palma Real golf courses. More than 60% of the land was designated for green and recreation areas. 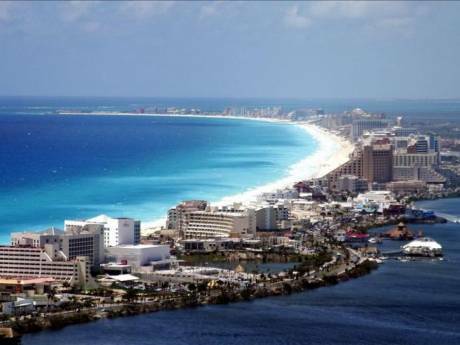 It has operating support by Posadas de México Group, basic hotel services and rental administration. It has a beautiful walkway along the Marina, tennis and paddle tennis court, administration office, controlled access and security 24 hours. The Yacht Club is located at the entrance of the Marina, it has wide terraces with spectacular views of the bay and the Marina, lobby, pool with wet bar for adults and pool for kids, snack bar, sandpit and kids play ground, multipurpose room, restaurant, dressers, lockers and gym. Nautical installations: 6,156 feet of piers with electrical Service, water and cable TV, lockers for nautical equipment, boat ramp launched and dry marina for smaller boats. Other services: Common and interior maintenance, property management, maid service, laundry service, cooking service and rental administration.